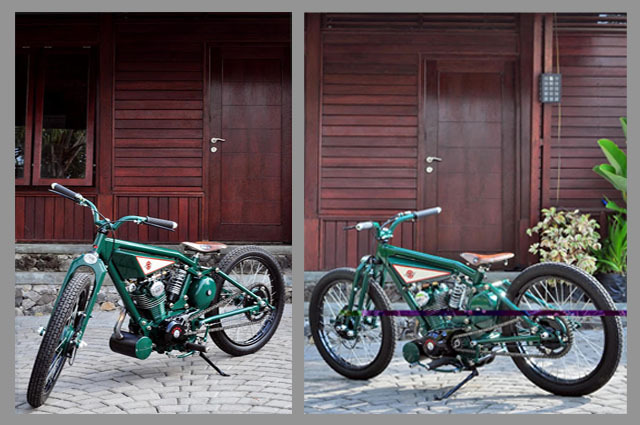 Lately, the trend of retro-style motorcycles often found on the streets in Indonesia. 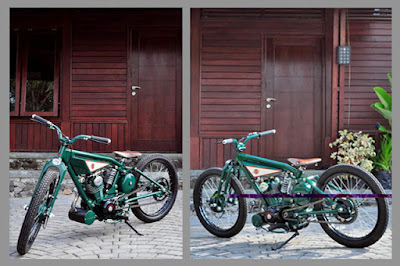 This style is usually applied to the modern motorcycle with automatic transmission, but what if the classic motorcycles modified to be older than it looks? It appears on a custom-built motorcycle made by Yogyakarta-based home modification named Darizt Design which is able to change the look of the 1985 Honda GL 100 into a classic pre-WW2 motorcycle named '2nd Attempt'. 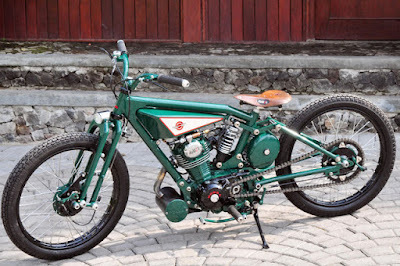 Modifications were made to this motorcycle can be considered extreme, because all frames were rebuild, only the original Honda GL 100 engine were still being used, then the work is done by using tools and simple equipment. 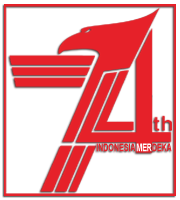 At first glance, when considered in the Honda motorcycle was changed appearance that resembles an old bicycle. 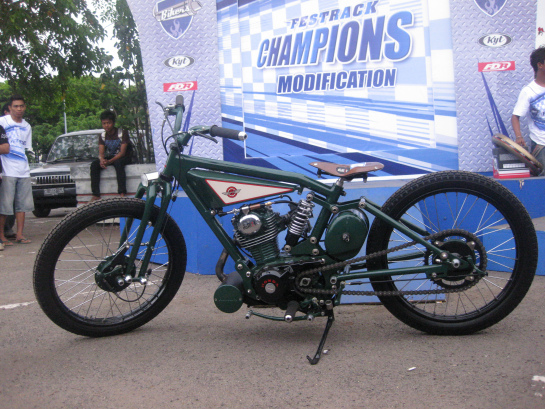 The frames structure of the motorcycle designed by Design Darizt specifically using ¾-inch pipe. So that there is no empty space under the seat, then covered by installed an oil filter there. Not only that, the ingenious idea of ​​the builder is also visible on the suspension of the motorcycle. Usually, front suspension of the vintage motorcycle use spring but on the this motorcycle, those spring was hidden in the framework, while the rear suspension is designed specifically with the monoshock model. To improve its appearance, a small custom fuel tank embedded in the middle frame, and combined with a seat that is used on a bicycle. While at the stern adorned with custom exhaust. Its classic aura more viscous by wrapping a pair of 19-inches rims both on the front and rear. Fanally, the hard work of Darizt Design on this motorcycle is not in vain, because the motorcycle is won many championship titles in various motorcycles contests in Indonesia.